Nestling in the shadow of Tate Modern is the Bankside Gallery. 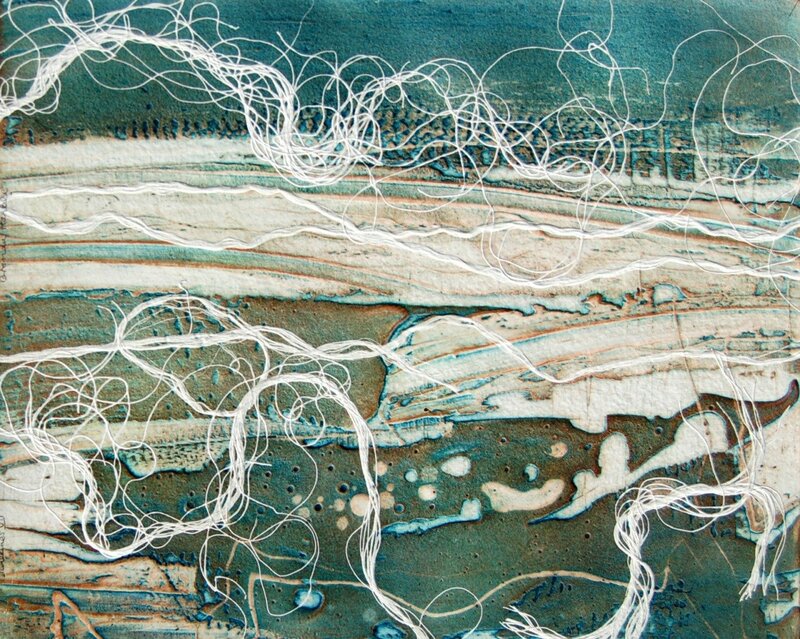 It is home to both the Royal Watercolour Society and the Royal Society of Painter-Printmakers and puts on a variety of free shows throughout the year. Currently on offer is a Brenda Hartill retrospective taking in her 50 years as a working artist; all the works are arranged chronologically, hence the Timeline title. The British-born Hartill had her first solo show in 1964 in Aukland, New Zealand, to where her parents had moved when she was a child. She then spent time wandering through Europe and the United States before settling in London where she pursued a career as a theatre designer for companies such as the National Theatre and the Royal Court: we see some her costume designs for Twelfth Night. The arrival of children pushed her out of the theatre and into model making of gloriously detailed plaque-like representations of buildings she saw in London. At around this time she went to the Morley College and discovered printmaking; which turned out to be her true artistic voice. 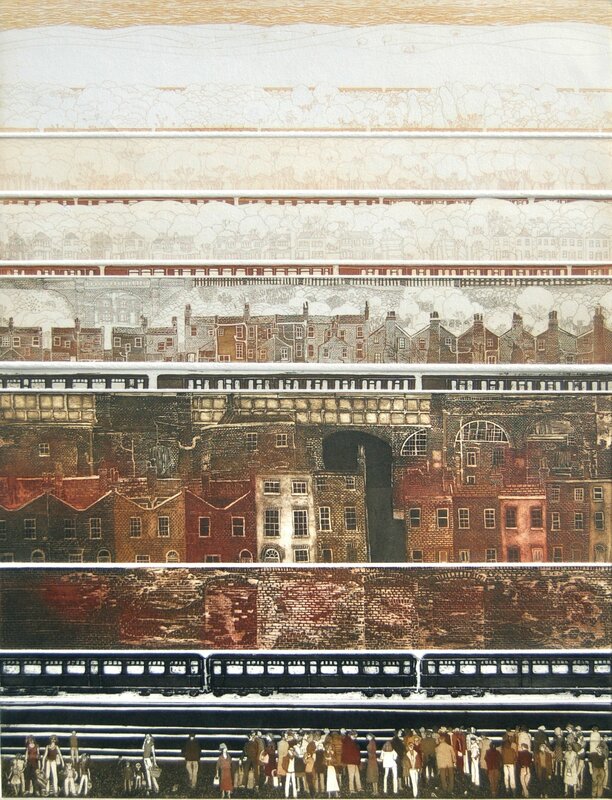 Working from a warehouse at the back of what is now Tate Modern, she depicted what she saw: trains. For instance, Trainscape 1 not only shows the trains that rumbled past her windows but also her family waiting on the platform and their house huddled under a railway arch. The layers of people, trains and houses, leading eventually to green hills is a vista that anyone familiar with South London will recognise. 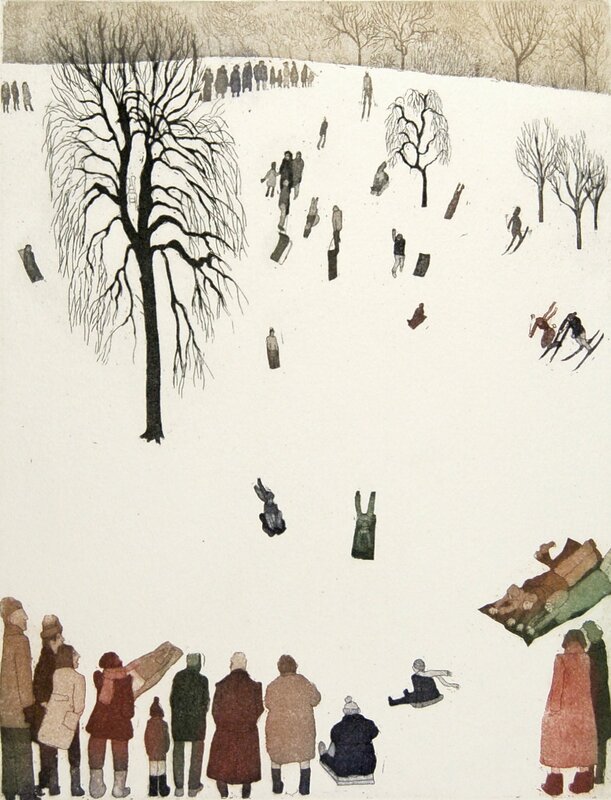 Also instantly recognisable is a snowscape of tobogganing children; it is in fact in Greenwich but equally easily be on Epsom Downs. Texture began to creep into the prints, that also become more abstract as time goes on. The last in the show are entitled Tidelines. In the background you can see the layers formed by sand and water but over all of that swirl white lines that could be seaweed or are maybe foam. Whatever they are you can feel the swirl of the retreating tide. The Bankside Gallery has an excellent shop offering interesting books and attractive greetings cards as well as framed and unframed works of art.